Description: The Caverners, Canada’s # 1 Beatles Tribute Band, recently performed at the Royal Canadian Legion in Collingwood a presentation by The Olde Town Terrace in cooperation with Creative Gal Productions. The Caverners have been performing since 1994 portraying the Beatles in concert with authentic instruments, costumes and stellar vocals. This all-Canadian cast recreates an incredible performance night after night leaving spectators screaming, stamping their feet and shouting for more. Dianna met up with Sandy Vine who portrays Paul McCartney prior to this show. Sandy will share his thoughts on the Beatles and how he enjoys recreating history. We will also hear two of The Carveners' songs. For more information visit caverners.com or their Facebook page. Please enjoy and SHARE this great local show! Beach BOOSTER Radio, Wasaga Beach's truly LOCAL radio! The Caverners, Canada’s # 1 Beatles Tribute Band, recently performed at the Royal Canadian Legion in Collingwood a presentation by The Olde Town Terrace in cooperation with Creative Gal Productions. 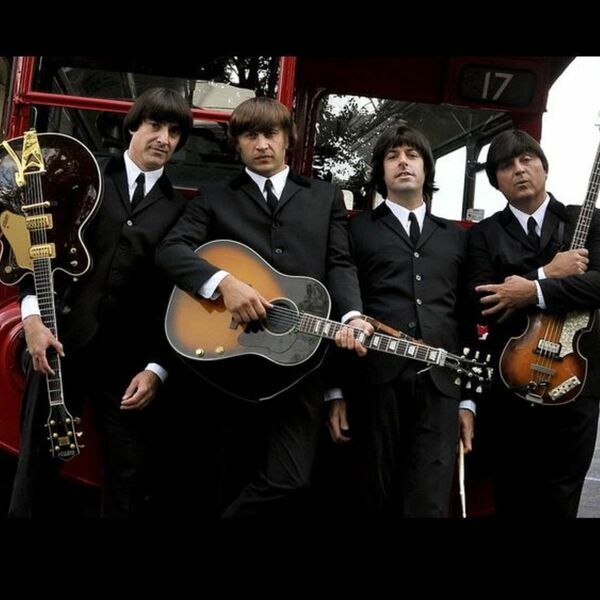 The Caverners have been performing since 1994 portraying the Beatles in concert with authentic instruments, costumes and stellar vocals. This all-Canadian cast recreates an incredible performance night after night leaving spectators screaming, stamping their feet and shouting for more. Dianna met up with Sandy Vine who portrays Paul McCartney prior to this show. Sandy will share his thoughts on the Beatles and how he enjoys recreating history. We will also hear two of The Carveners' songs. For more information visit caverners.com or their Facebook page. Please enjoy and SHARE this great local show! Beach BOOSTER Radio, Wasaga Beach's truly LOCAL radio!